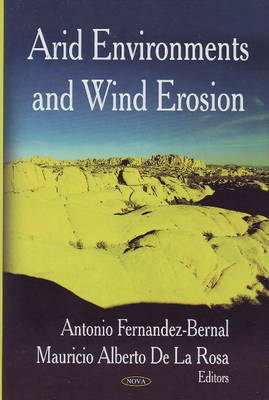 Arid environments are landscapes that receive very little precipitation. Deserts can be described as an arid environment where more water is lost that gained as precipitation. Arid environments have been classified as mega thermal climates; areas of having great heat. This book focuses on regions classified as arid environments and how systematic, evidence-based synthesis may be useful for assessing ecological and cost-effective strategies for assessing revegetation in arid lands. It discusses foundations and main driving forces of socio-economic developments of arid zone and important mechanisms affecting the success of certain species over others. This book brings new research advances from around the world.